Red and Rover is always my go-to comic strip. This one is from June 30, 2012. For some people it’s dog poop; for others it’s slugs. I notice that Rover obviously doesn’t mind them. 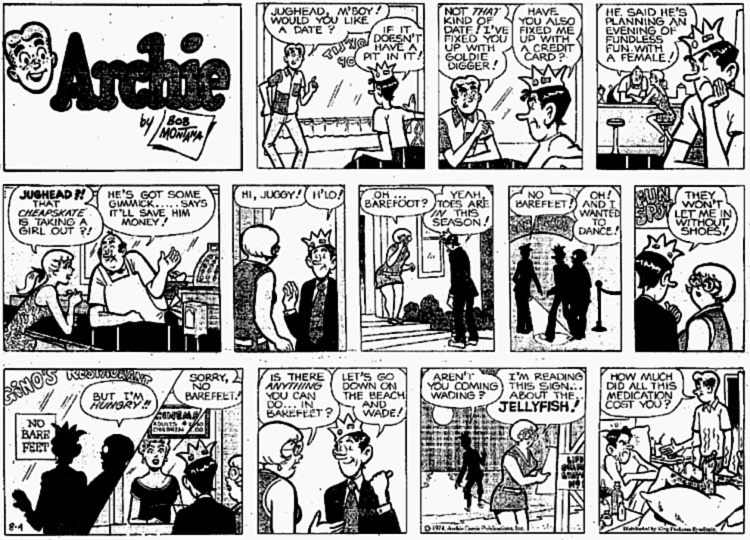 Archie Comics from the 1970s (when bare feet were popular) had quite a few barefoot strips. This one is from August 4, 1974, and features Jughead, who is a bit of a . . . well . . . jughead. This strip also lets us know that NSNSNS signs were in full swing by then.